BCDB Rating: "*Figure Not Included" has not yet received enough votes to be rated. This page has been viewed 13 times this month, and 692 times total. 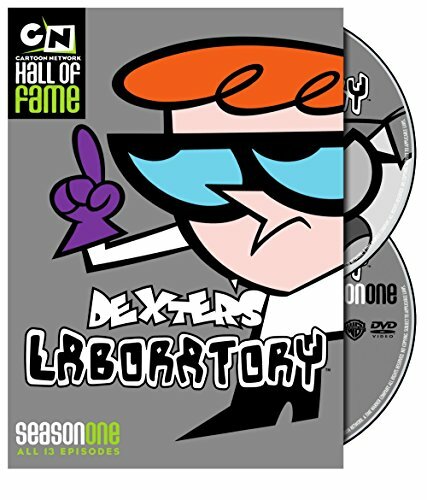 Cartoon Characters: Dexter, Dee Dee, Mom, Dad, The Computer, Mandark, Agent Honeydew, LeeLee, Monkey. Voice Actors: Christine Cavanaugh, Kathryn Cressida, Kath Soucie, Jeff Bennett, Eddie Deezen, Frank Welker. Music: Thomas Jones Chase, Steve Rucker, Pamela Phillips Oland. First Aired on September 10, 1997. Dexter is excluded from his friends because he doesn't have a Major Glory action figure, so he creates one after another. You can watch this episode today on your computer. Just click below to start viewing "*Figure Not Included" online now. Do you have anything to add to this page? Have we made any mistakes... or do you have any additional information about *Figure Not Included? If so, we would love to hear from you. Please send us a quick note with your additions or corrections to this page, and we will make the corrections as soon as possible! Do you love *Figure Not Included, or do you think it is the worst cartoon ever? Let us know what you think! Surely you have an opinion... so share what you think. Take a minute and post your own comments about this cartoon here. *Figure Not Included by Big Cartoon DataBase is licensed under a Creative Commons Attribution-NonCommercial-ShareAlike 4.0 International License.